They have a make-up lesson. We have a game day at the end of the semester. 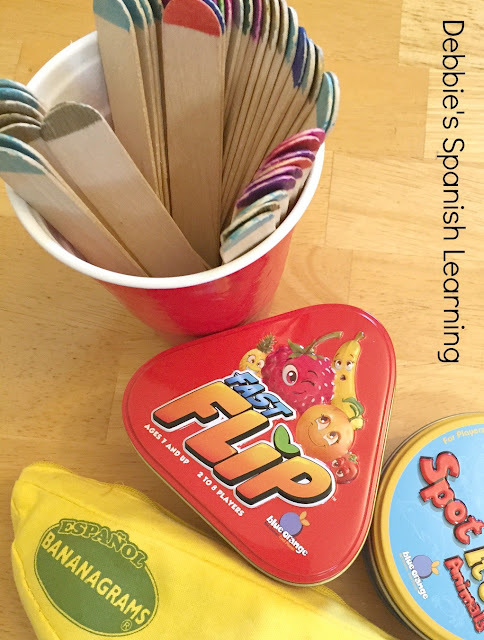 I prefer not to waste precious time with my students with activities that don't further their language learning, and yet there are days when we need to step back and do something different. I was also realizing that coming up with ideas when I'm pressed for time or feeling ill wasn't working for me. I needed a ready-to-go list I could just pull out. 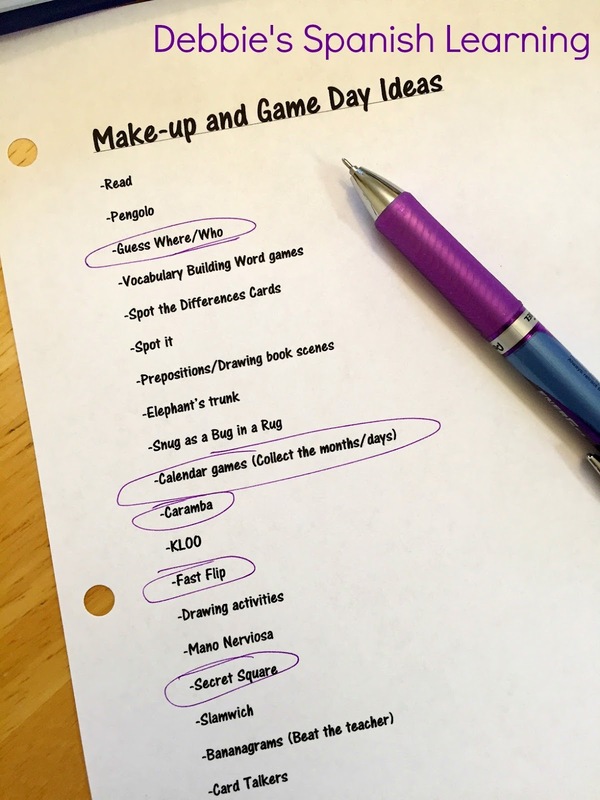 So on a quiet afternoon, I did some brainstorming of all the activities my students have been exposed to that we could do on a game day or a day when I'm sick. (Or if you are teaching in a regular school...a day when you need a sub). I created a file and then printed out several copies to have on hand. I teach a big age range (age five through high school) and a myriad of ability levels. So it is easier for me to have a master list and circle the activities we are going to do based on the ages of the students and their abilities. It becomes my instant lesson plan. If you are teaching larger groups, you may need to break students into groups and have "stations" where they move from activity to activity during the class. That way no one gets bored and all the teacher has to do is monitor the groups. Here's some of what is on my list with links to see how it's all done. However, since every teacher is different it would be ideal for you to come up with your own list of activities that work in your classroom. KLOO- I love this game (and my students do as well) because it really gets them creating the language. You can buy the board game version or just the deck of cards (There are four different decks in the Spanish version). 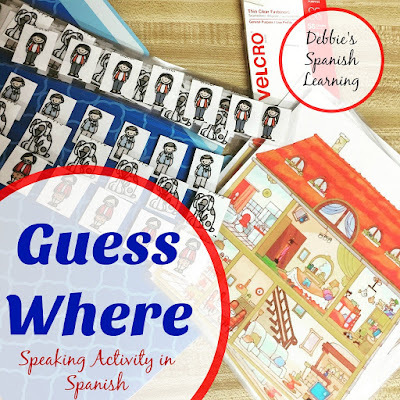 This game come in Spanish, French, Italian, and even English for ESL learners. Guess Where House Game- A guessing game that uses family members and house vocabulary. 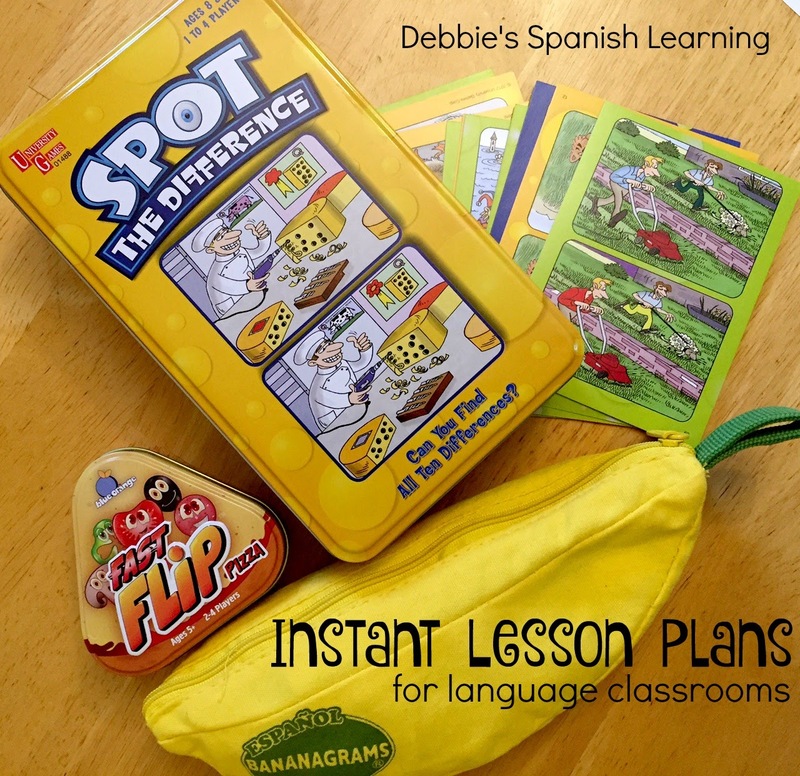 Spot the Difference Cards- Can students talk about the differences in these cards in the target language? 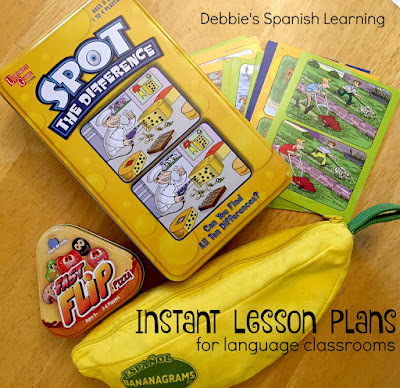 Spot It!- Fast-moving card game that can be done in any target language. Caramba- This is currently the top post on my blog. 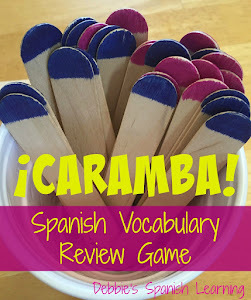 My students LOVE this vocabulary review game! It's easy to make it yourself and have on hand. Fast Flip Games-You can read about this game halfway down this post. A fast-paced game for reviewing foods. There's the fruit version and a pizza version. Yum! Mano Nerviosa-I started using this game this past school year and my students beg for it. Done in the target language with two decks of regular cards. Here's how to play. Secret Square- A simple game that uses any picture cards with vocabulary your students have worked with. Bananagrams-See this post for ideas on how to use Bananagrams with your students. 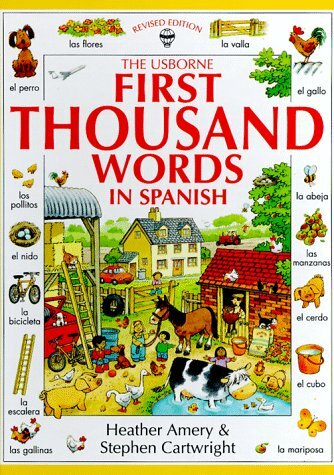 You will need to get the right version of this game for the language you teach. Here's the Spanish version. And the French one. Card Talkers is a simple activity using a Spanish deck of cards and questions. I have four printables on my blog to use with the cards. You can find the links to all of them in this post. NOTE: This activity is better suited to older kids and high schoolers. Drawing Activities (this is for the whole group to do together. )- A plethora of drawing activites along with the printables to do them. These are definitely listening exercises for your students. You can find them here. Memory and Go Fish- If you have pictures cards (two of the same picture on two different cards) you can play a whole bunch of different games with them. Take a look at this post. 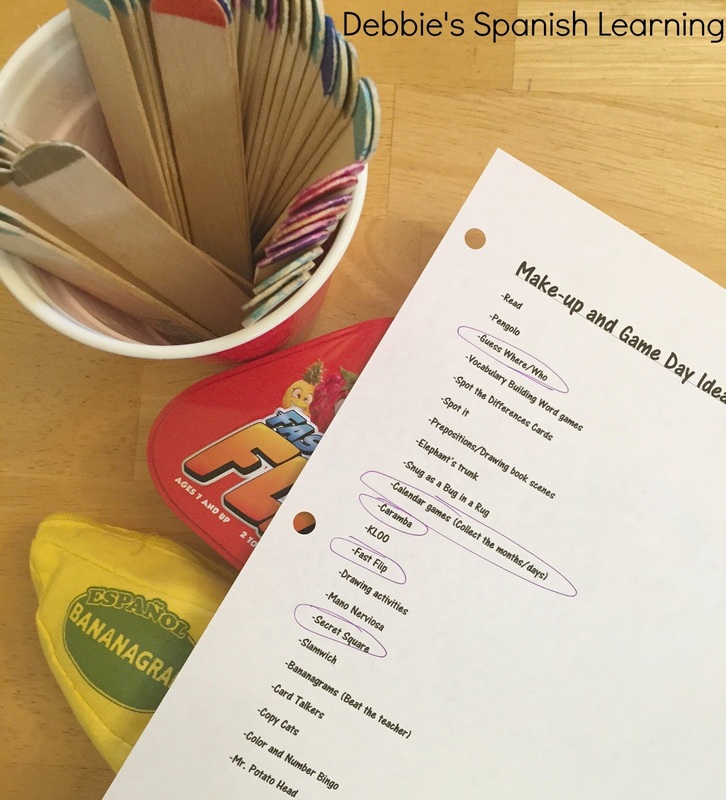 So pull out a piece of paper or open up a file and start brainstorming ideas for the days when teaching is tough!! I welcome any other ideas in the comments!! I love using "garage sale dots" (You know... those little round stickers you see used every summer as people endeavor to sell their excess possessions. 😏) These dots have become valuable teaching tools when it comes to my language lessons! 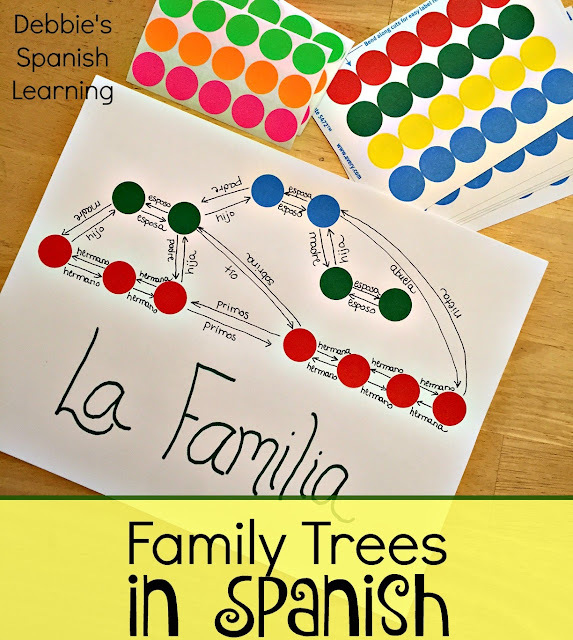 One of the ways I used them this past year is to create family trees with my students. I had my students choose a different color for each generation. They then could create their families (or a pretend family) with each dot representing a different person. 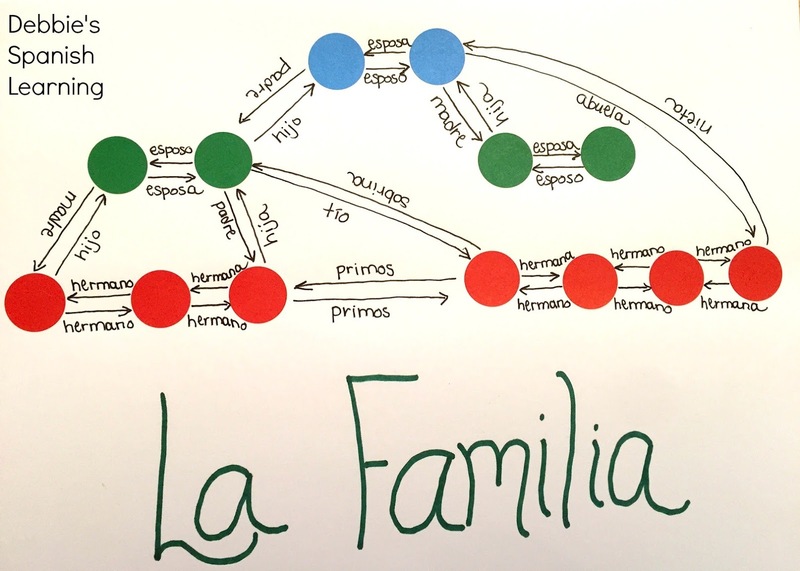 Then finally, they drew arrows between people and wrote in Spanish how they were related. 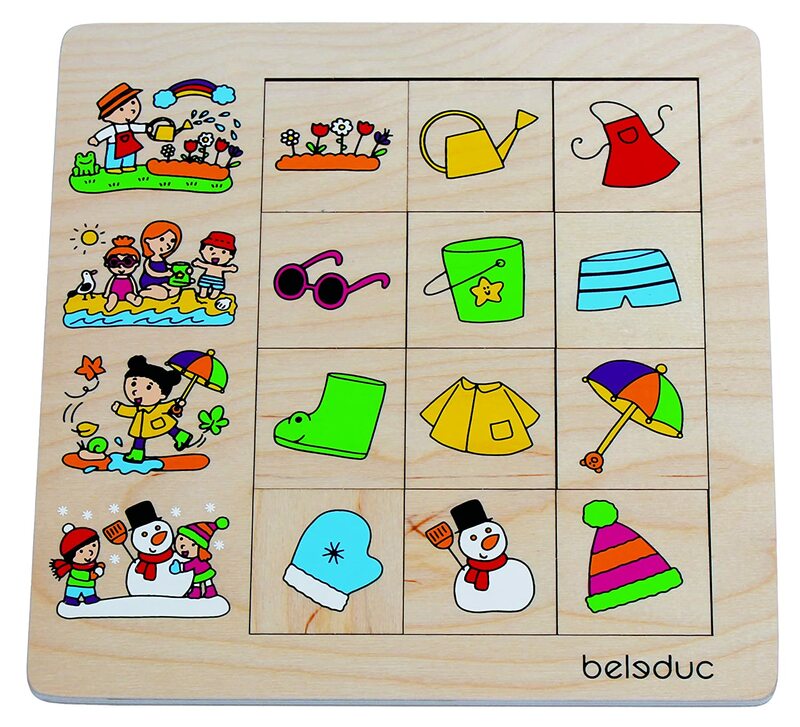 This file folder guessing game uses house and family vocabulary. A sweet story about a boy who gives away his animal crackers to different family members. Here's another activity with colored dots that my students love!!! Check it out! 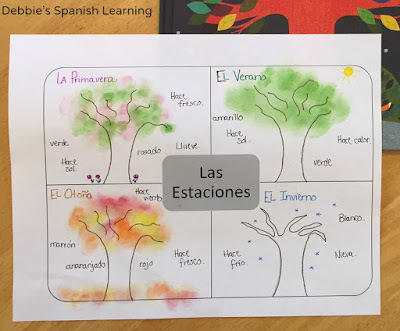 For my students that can write I have them re-create the four seasons with pictures and words in Spanish. (You can download this page here.) 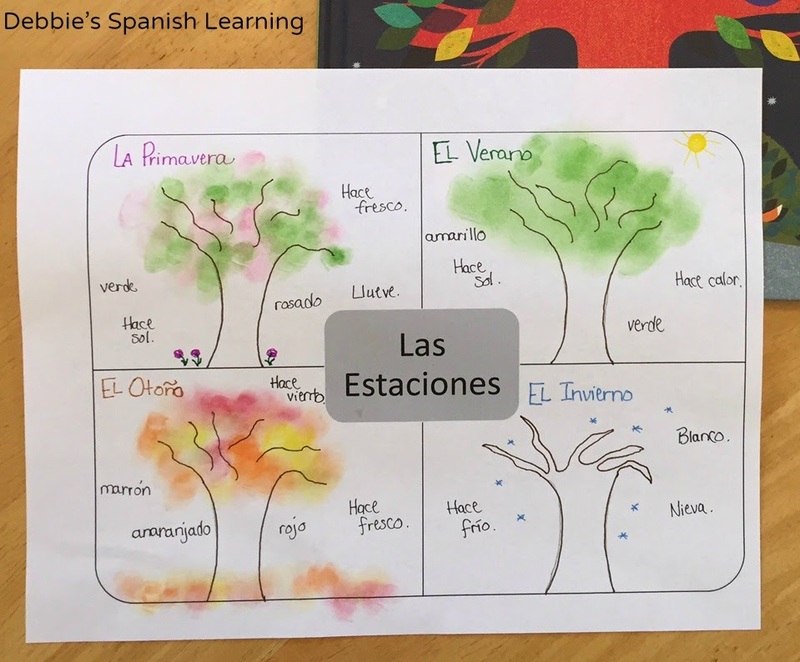 They can draw in the way a tree would look for each season and then label the squares with the correct word. I also have them add color and weather words related to each season in the appropriate square. Another set of vocabulary that could be added are the months in the appropriate season, but be careful with this! What if you are in the southern hemisphere? This would be a great time to discuss how summer happens in December, January, and February in South America (like in Argentina and Chile). Hay un árbol grande con un sol brillante en el cielo. En el árbol hay dos búhos y tres ardillas. Debajo del árbol, hay una familia de zorros. Un zorro persigue una mariposa. El árbol tiene manzanas en las ramas y un nido lleno de huevos. 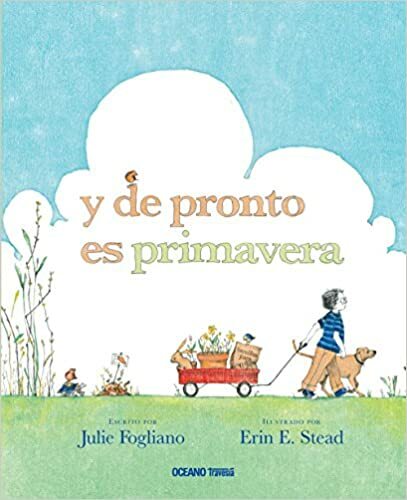 Y De Pronto Es Primavera-A sweet story about waiting for spring to come. Froggy Se Viste- Frogs are not supposed to go out in the snow and play! 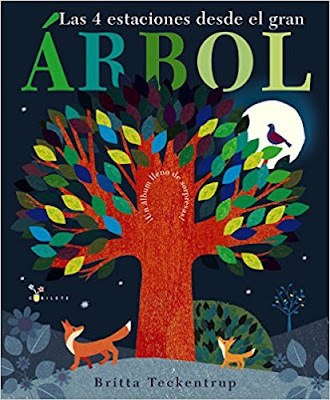 A story filled with winter words (especially clothing). 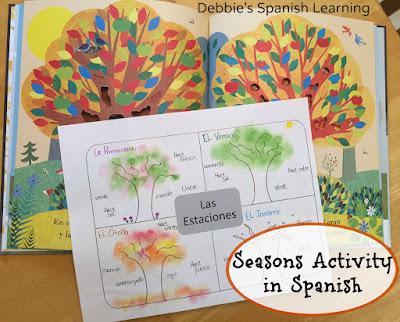 Un Recorrido Por Las Estaciones- Scenes from all the seasons with an emphasis on each month. A simple puzzle for younger kids. Actually, this concept for be great for kids if you make flashcards. Can they put the objects in the right season? Finally, I use this vocabulary sorting activity with older students. It's a great way to familiarize them with more words that they need to put into one of the four seasons.